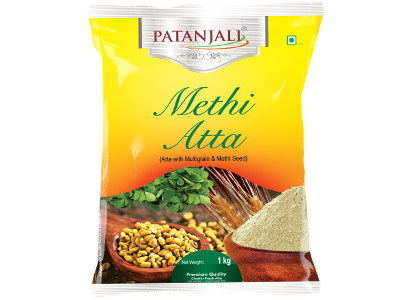 Patanjali methi atta is prepared by unique multiple grains i.e wheat, gram, barley with methi seed to ensure to get natural goodness of additional spicy flavour of methi along with taste and nutrition. 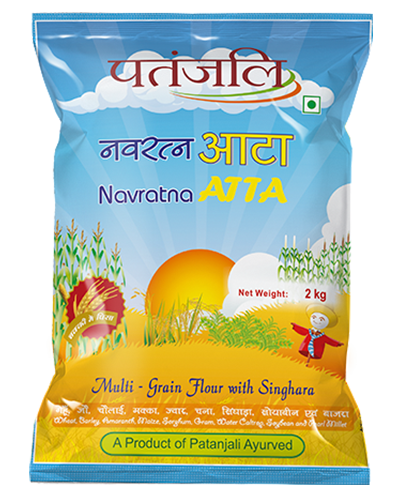 It is sourced from high-quality raw materials, processed hygienically and packed to retain the natural goodness. 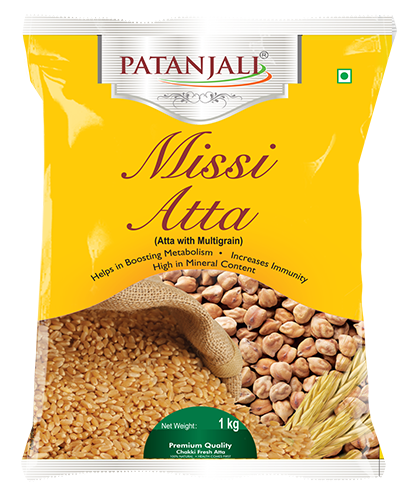 *Improves digestion problems and cholesterol levels. 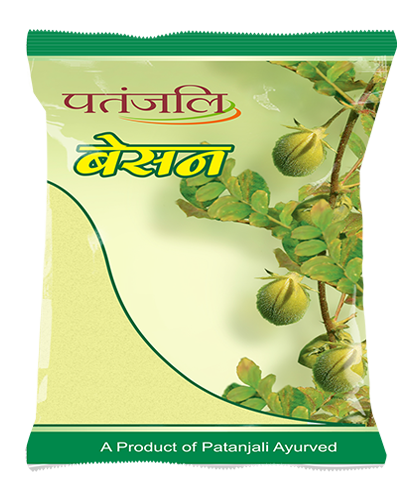 *Reduces inflammation inside and outside the body. *Adds flavour and spice to food. 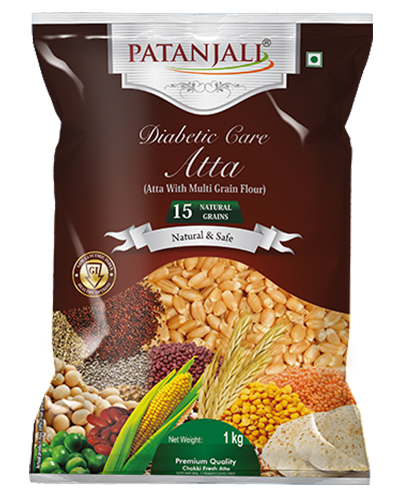 *It helps to control blood sugar level. 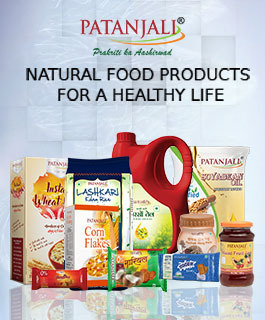 *it helps counter acid reflux or heartburn.